Put your best dress on and get ready for the cameras. 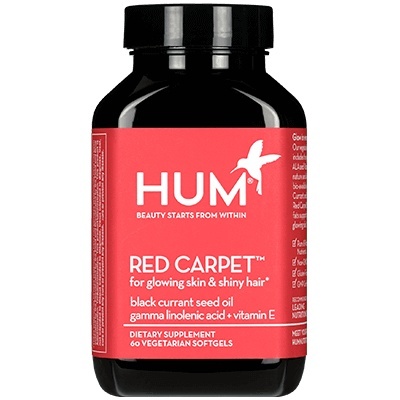 HUM Nutrition's Red Carpet beauty supplement will leave you with glowing skin and shiny, fuller hair in just 6 weeks. 2 Tablets anytime with food. Premium quality, clinically proven and recommended by leading nutritionists. Non-GMO, gluten free sustainably sourced ingredients. *Product has not been evaluated by the FDA and is not intended to diagnose, treat, cure or prevent any disease.